This is the second part in a series of essays on Mari Okada and melodrama. If you stumbled upon this post, start at the Introduction instead! No spoilers ahead for now. Before we can start talking about anything relevant in Mari Okada’s work, we have to establish a melodramatic basis for analysis. In other words, we have to know what melodrama is and where it comes from—which means chugging through some history and exposition. The history of melodrama is actually quite interesting and I’ll be keeping it light and to the point, since it’s way more fun (and useful) to talk about the gritty details once we’re engaged with some specific anime. In addition to history, I’ll give a brief overview of the most universal elements of melodrama to be expanded upon in future essays. 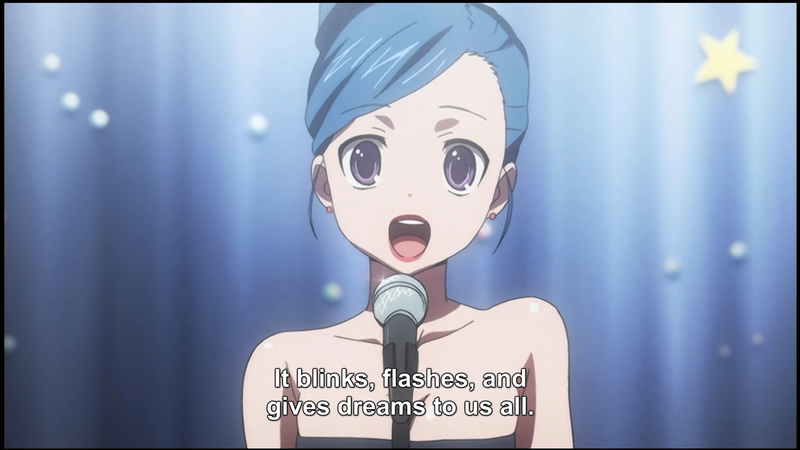 Around this time last year, I wrote about three symbols in the Christmas party episode of Toradora. Apparently cold weather and Christmas lights put me in the mood for symbolism, because I want to explore another Toradora symbol this year. Although this symbol first shows up in Episode 1, I’ll be talking about the series as a whole and assuming you’ve seen it in its entirety. You can consider this the start of my love letter to Toradora. But hopefully my letter has a little more substance to it than Taiga’s. Christmas is fast approaching, so let’s jump back in time to take a look at the Christmas Eve episode of Toradora. There’s something beautiful in this show’s simplicity. Like a vine grows only where it can grow, Toradora’s story proceeds in the only way it could. A heads-up that I’ll be assuming you’ve seen the show in its entirety, and will be taking for granted what we would know about the characters and their relationships. Side note: this song is 100% about love. I struggle to express the appeal of this show in so few words, so let’s take a look at three symbols from Episode 19 to see what I mean. Ryuji’s gift for Minori, his scarf he gives Taiga, and Taiga’s father’s suit all begin as very simple symbols and expand in meaning as the episode progresses. Let’s figure out where these three symbols start, and then trace their development one by one. None of them grow to be all that complex, but that’s because they’re precisely as complex as they need to be. There’s not a thread on the scarf that doesn’t hold it together, so to speak. The show makes the initial meaning of each symbol obvious without bludgeoning us with an explanation. 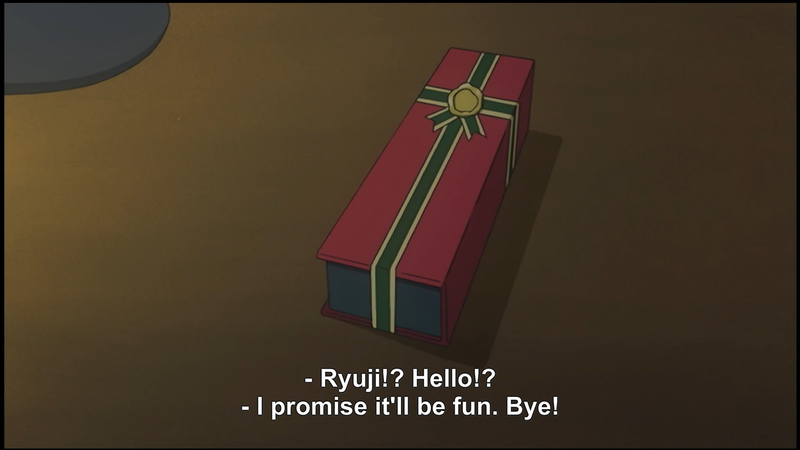 The camera focuses on Ryuji’s gift as he calls Minori to tell her she has to come to the party. Clearly, it represents his affection for her.